Want My Actual VSL Slides? 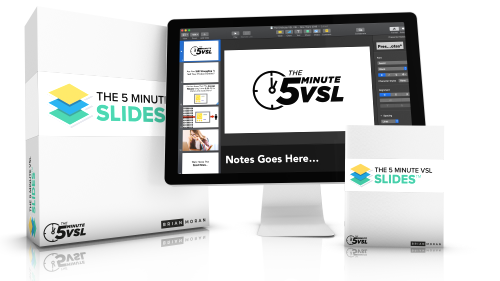 1-Time Offer: Get INSTANT ACCESS to "The 5 Minute VSL Slides" — Cut the time it takes to create your first profitable VSL by using my slides as a starting point. Just tweak my slides to fit your product, and you'll be ready to start making sales in no time. Value: $497.00 - Right Now Only $47!